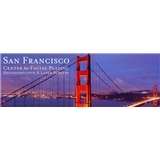 San Francisco Center for Facial Plastic (Mill Valley) - Book Appointment Online! Dr. Ransom's practice includes all types of surgery for the aging face (facelift, eyelid lift, brow or forehead lift, midface lift, and fat grafting), cosmetic and functional rhinoplasty ("nose job" or nose reshaping), and reconstruction of complex defects resulting from Mohs surgery. He uses the latest in minimally invasive and endoscopic techniques and also provides non-surgical treatments, including injectable fillers (Restalyne®, Juvederm®, Radiesse®, and others), Botox®, and Dysport®).Finally, Dr. Ransom is skilled with the latest in laser treatments – ablative, non-ablative, and IPL. We also offer SculpSure® for non-surgical body contouring, and NeoGraft® for scar-free, fast-recovery hair transplant! Please note that all appointments must be confirmed by phone and require a credit card to hold the time.